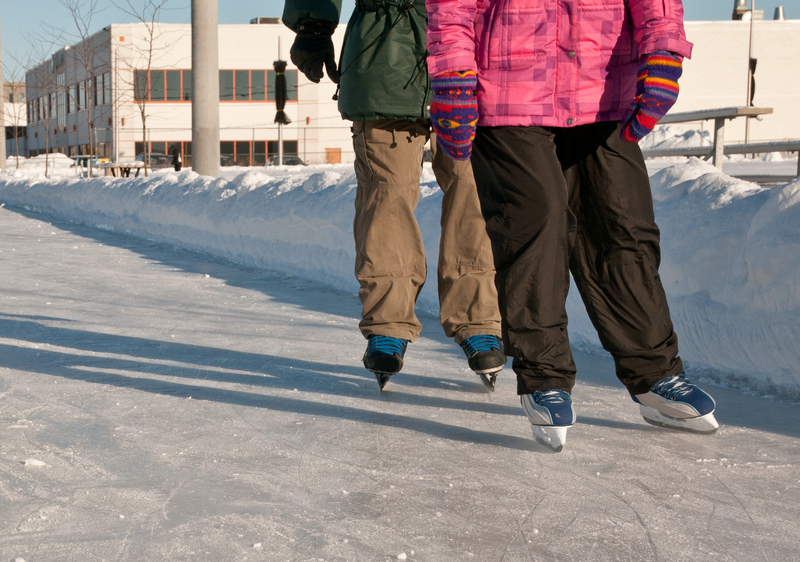 Whether you’re a skating novice, a seasoned hockey player or a skilled figure skater, make the most of winter at one of our many rinks and ice surfaces. 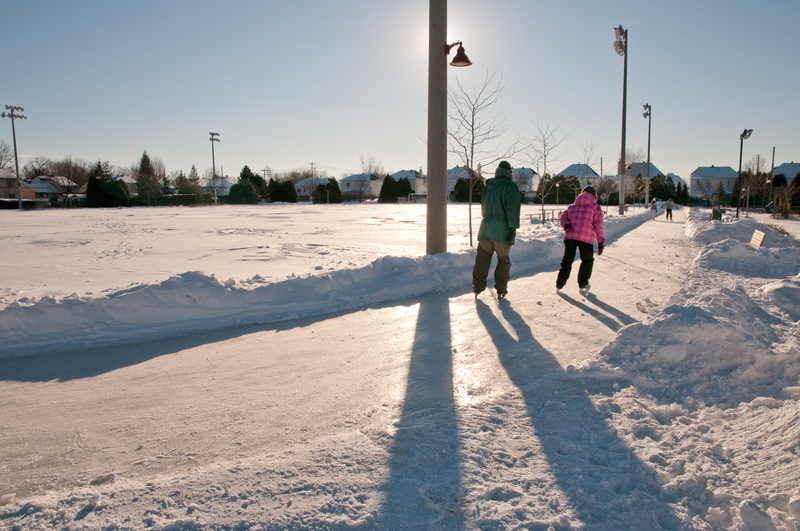 Last modification: March 13, 2019 – 1:40 p.m.
A chalet is available at all parks except Seigniory, where a room is open for skaters at the Lester B. Pearson International Language Centre. Monday to Friday, 2 to 10 p.m. The chalet doors lock automatically outside of these hours. Please retrieve your personal belongings before closure. Hockey sticks are prohibited on ice surfaces reserved for free skating. Climbing on hockey goal nets is prohibited.